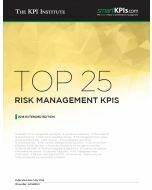 The Top 25 Human Resources KPIs – 2016 Extended Edition report compiles the most popular 25 KPIs used by global Human Resources divisions throughout 2009 and 2015. One of the most important benefits that this report brings is an international perspective on the most popular Human Resources KPIs. They provide quantifiable measurement of the main components that lead to a successful implementation of human resources strategies. 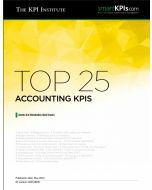 The Top 25 Human Resources KPIs – 2016 Extended Edition provides a complete hands-on experience in working with KPIs as it contains not only 2 pages of detailed documentation for each KPI, but also interesting articles on best practices in terms of KPI selection and documentation. 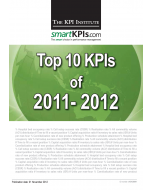 Unique insights into the smartKPIs.com community profile as per country breakdown, organization size, industry affiliation, job title, managerial role, and performance related job titles. 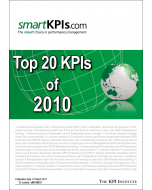 The Top 25 Human Resources KPIs list not only itemizes the Top 25 Human Resources KPIs on smartKPIs.com, as per the popularity of the selected indicators on the online community platform, but also provides comprehensive insight into the human resources functional area overall. "The content was clear, concise and to the point. Successfully organized and easy to understand." "The content was satisfactory and up to mark." "The material was very useful and it helped me to better understand KPIs aspects: how to be created, applied, used by pushing the team forward for their maximum performance."